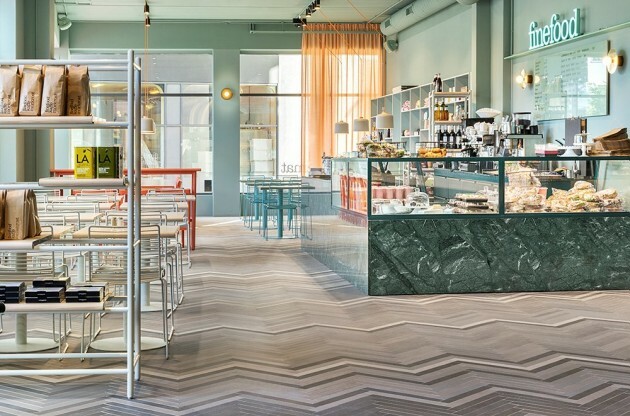 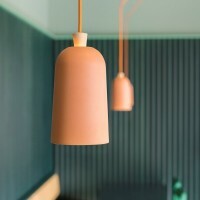 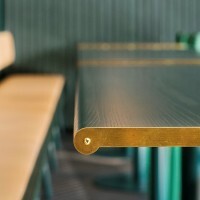 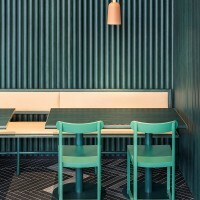 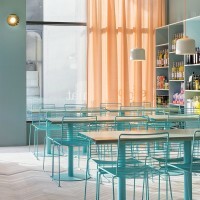 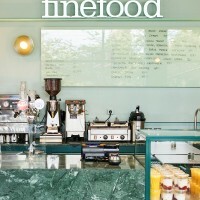 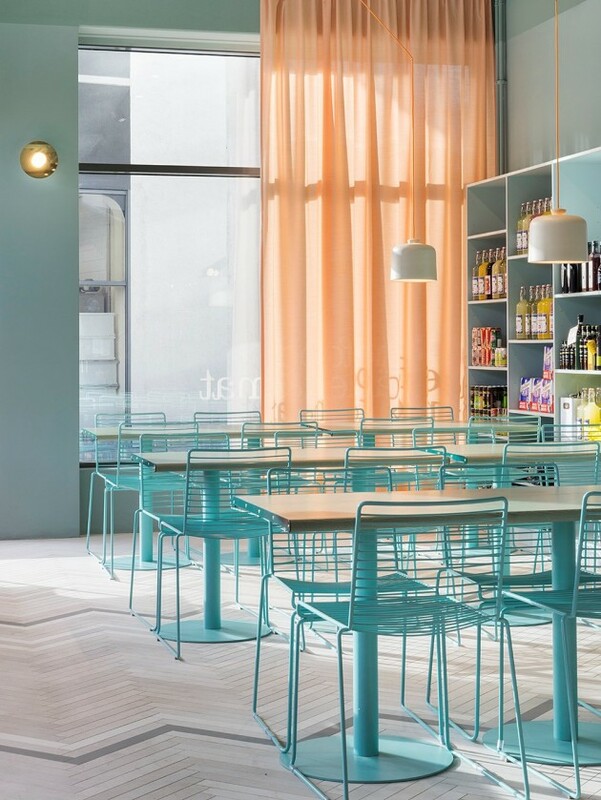 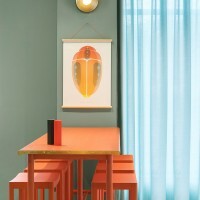 Note Design Studio have collaborated with Lerch to design Finefood, a restaurant and coffee shop in Stockholm, Sweden. 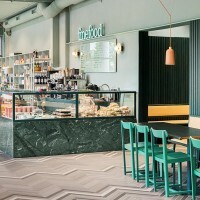 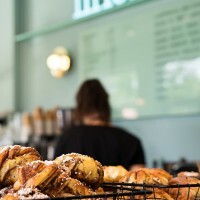 The Finefood restaurant and coffee shop serves well cooked everyday food and pastries for the inhabitants of Hammarby Sjöstad (an exciting new district in Stockholm where the City has imposed tough environmental requirements on buildings, technical installations and the traffic environment, from day one.) 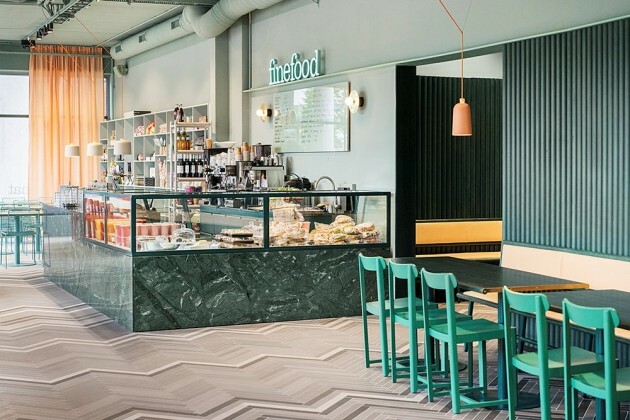 in the south of Stockholm. 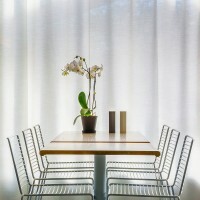 One of the challenges designing the place is the fact it being a mix of a café, lunch restaurant and bistro. 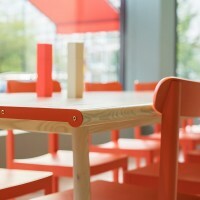 It must work just as well serving breakfast at 7am in the morning as serving beer 7pm in the evening. 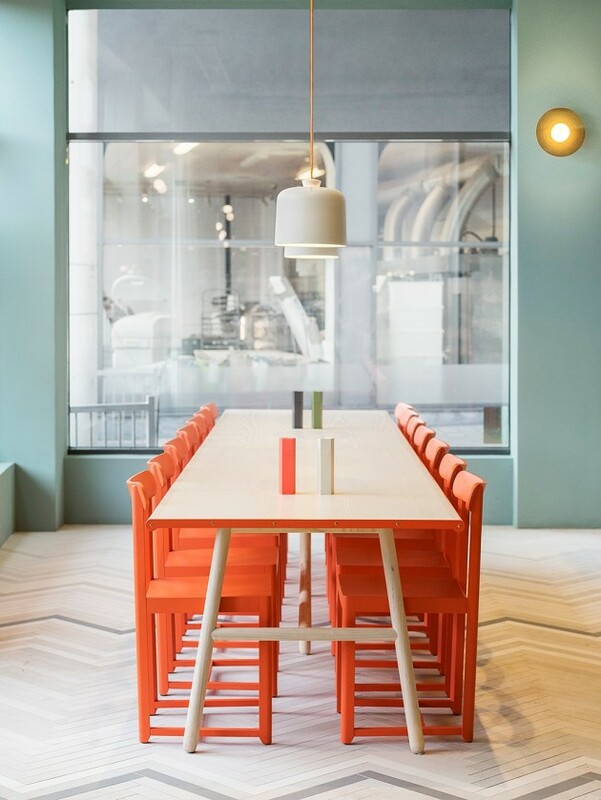 As a Swedish design studio leaning on our minimalistic heritage, we created a clean, soft space with a calm, inviting color palette. 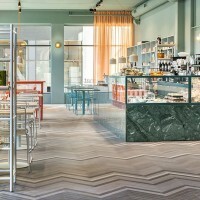 The base of the interior is a custom made herringbone tile floor representing the rich gray scales of rocks and mountains. 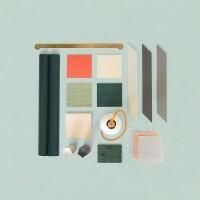 The color palette – ranging from the deep green marble to various nuances of pale green and turquoise with contrasting salmon red and peach – are a direct translation of the colorful variations of the natural light in the mountains. 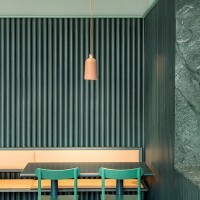 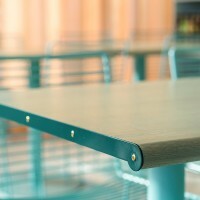 The materials are typical Scandinavian such as light ash wood, brass and natural leather except for the Green Guatemala marble used some part of the design. 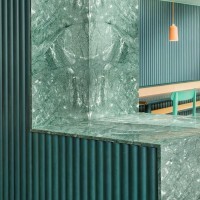 Tables, sofas and shelves are specially designed for this project giving it its own unique identity. 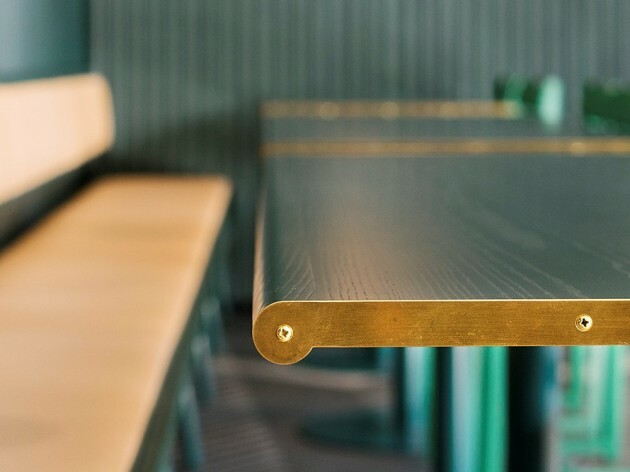 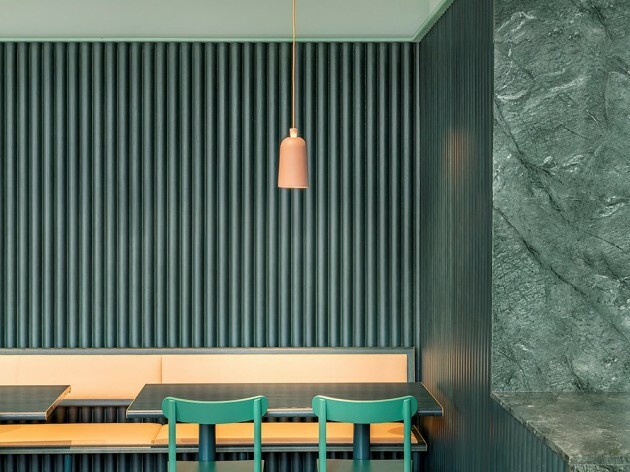 Over the custom made furnitures we have used – our own ceramic lighting Fuse for Ex-t (IT), lacquered wooden chairs from Zilio Aldo (IT), slick floor tiles from Mutina (IT) and a few really nice brass wall lights from Atelier Areti (UK) to top things off.